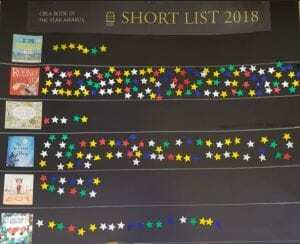 Although Book Week was some time ago now this Post showcases a selection of Year 3 responses to the six CBCA Short List Picture Books 2018. 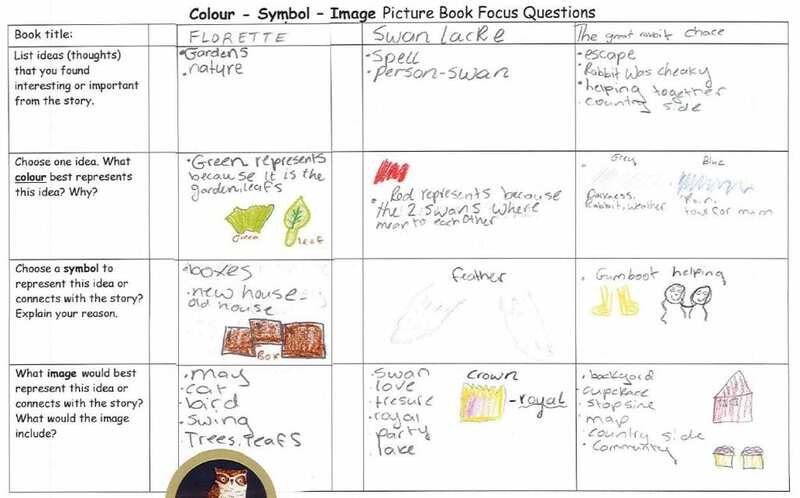 The students were introduced to the Visible Thinking Routine – Colour, Symbol, Image at the start of the series of lessons. 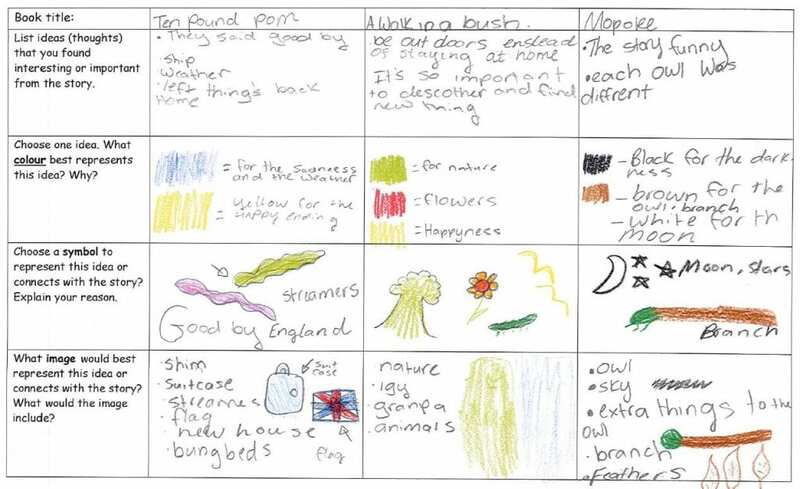 After each picture book was read a brief sharing of ideas was completed to gain feedback on the response depth and to prompt additional ideas by building on what students shared. One additional task introduced was to list ideas that were interesting or important from the story – this assisted in building responses. Although some responses were a little brief it allowed students to respond to each book. Lessons were around 30-40 minutes so overall I feel it was an achievement to read and respond to each of the six short list books. As the activity was repeated for each book students quickly became familiar with the routine. 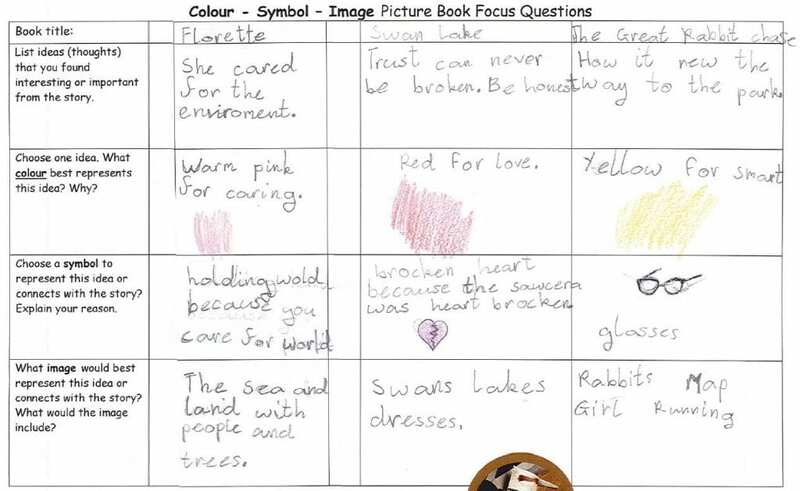 It was also helpful for students to reflect on their Colour, Symbol, Image summary as they voted for their favourite short list book. For additional information visit this previous Post Exploring The CSI Thinking Routine Through Picture Books. This post showcases the marvellous dioramas Year 2 created for the 2018 CBCA Shortlist Early Childhood Books. For background and ideas of how to do this with your class visit a previous post Story Elements – Read, Think, Collaborate, Create. Who is the main character? Are they human, an animal or an imagined character? What can the character see? What might the character think? What might the character care about? The responses were collated to form a group summary. Students chose one of the books to respond to by drawing and writing. 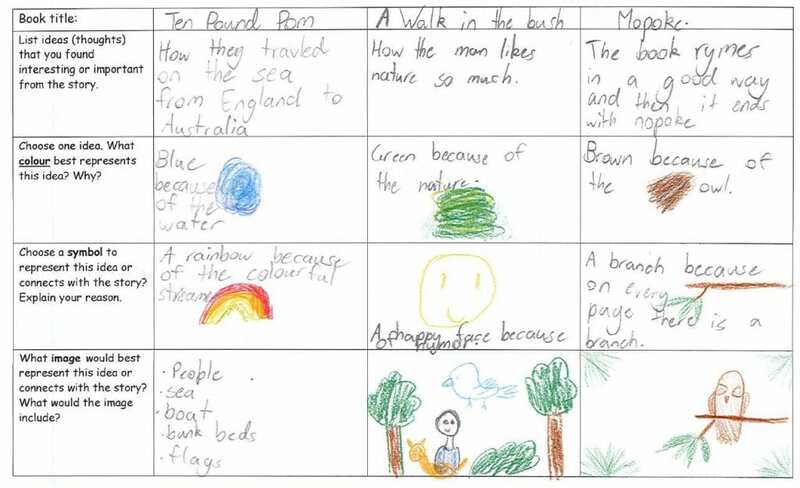 The use of writing prompt assisted students to respond to the Step Inside questions. 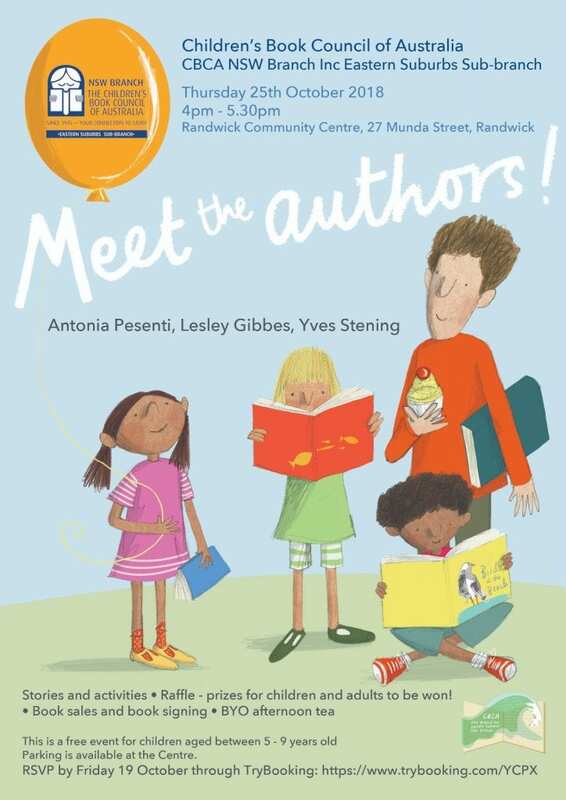 CBCA NSW Eastern Suburbs Sub-branch Children’s Event! Thank you to Cate James for the terrific invite! Do you recognise these book characters? During Term 3 Kindergarten were introduced to the six CBCA Short List Early Childhood books. For each book we focused on the main character. At the end of the term the children were split into six groups where they illustrated the main character from one of the books to create the Book Week bunting. Inspired by Anna Walker’s CBCA Short Listed book Florette, over the past few weeks at lunchtime a small group of students designed and created leaves and flowers for our very own Florette wall. If you look very close you will find delightful treasures. 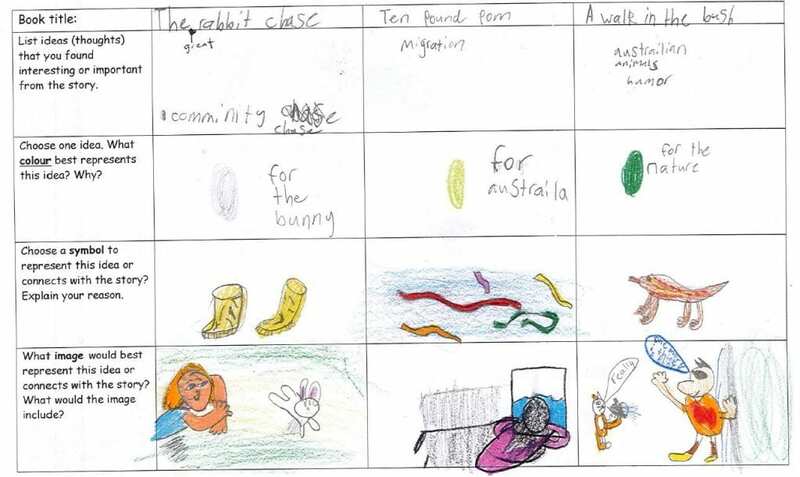 Book Week 2018 – Find Your Treasure! 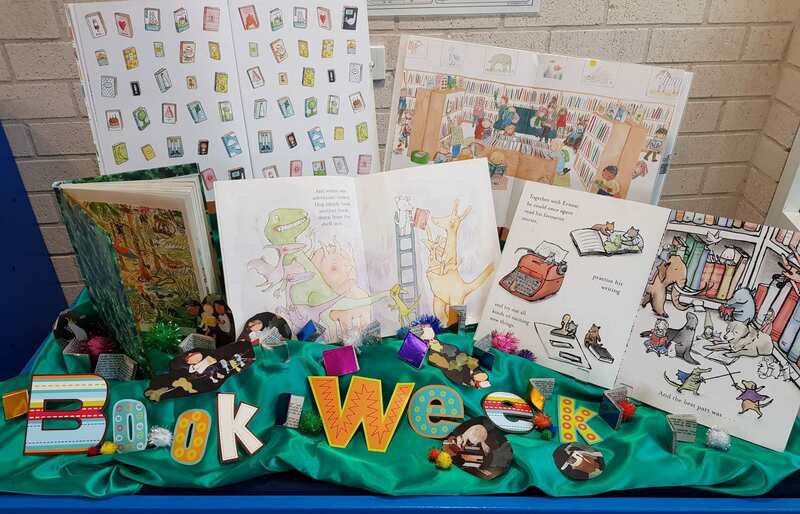 Our school library display cases are ready for Book Week 2018 – Find Your Treasure! The first case features children’s literature maps from the books in the suitcase. The picture book A child of books by Oliver Jeffers and Sam Winston is opened on the page “and upon my imagination I float.” Handmade mini treasure books, CBCA Find Your Treasure bookmarks and badge are also presented. 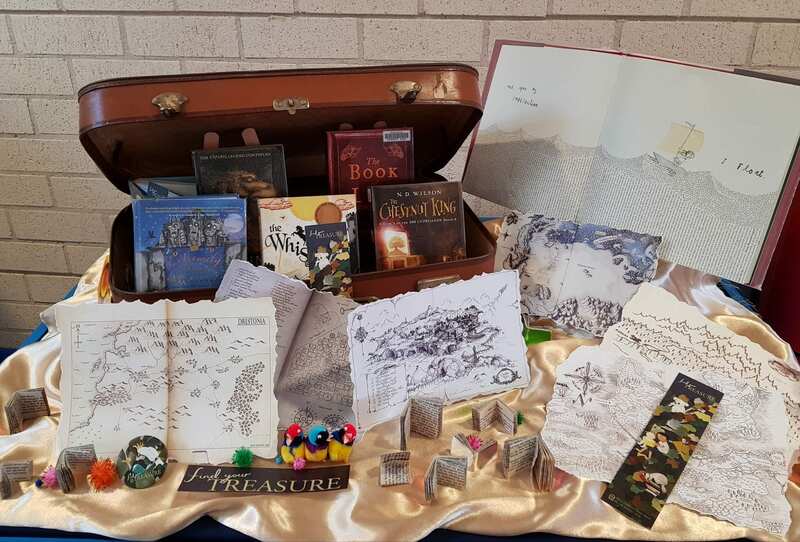 Find Your Treasure – display featuring story maps. The following display is based on the theme of treasure you find in books. Year 1 and 2 students responded with superb ideas reflecting on the theme including – reading is special, a treasure in a book is a character you meet, books are so good you want to keep reading, find your special book. The display features Dog Loves Books by Louise Yates; Otto the Book Bear by Katie Cleminson, Lucy’s Book by Natalie Jane Prior and illustrated by Cheryl Orsini; and The Everywhere Bear by Julia Donaldson and illustrated by Rebecca Cobb. There are also handmade mini treasure books, and sections of the Find Your Treasure Book Week 2018 poster designed by Anna Walker. 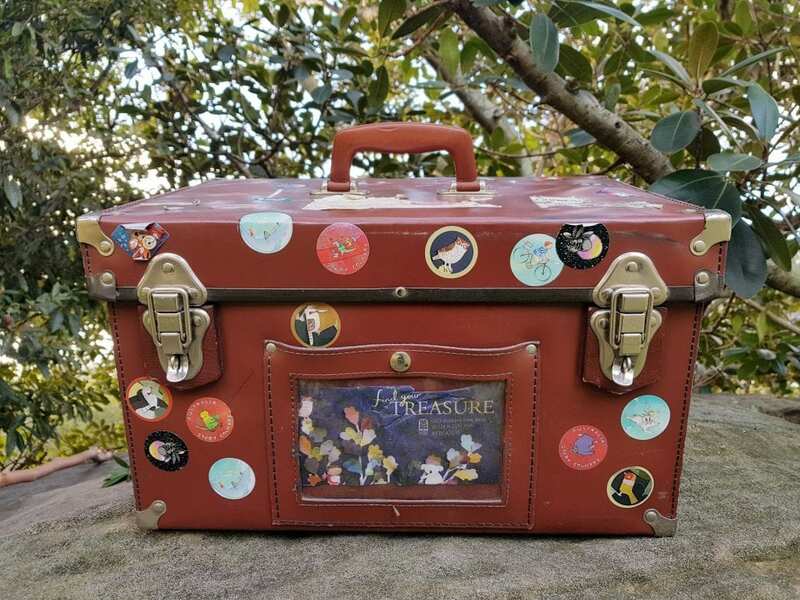 Find Your Treasure – display featuring stories, imagination & reading.